Villa Medica’s candidacy for the Prix d’excellence du réseau de la santé et des services sociaux has been retained (read the news item). Valérie Calva, Alissa Carter, Marie-Andrée Couture, Élisabeth Godbout, Chantale Poulin and Geneviève Schneider, occupational therapists at the Burn program, receive the Ginette-Théorêt prize from the Quebec Order of Occupational Therapists (read the news item). 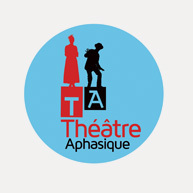 The Théâtre Aphasique receives the Création Mon Rêve prize (read the news item). 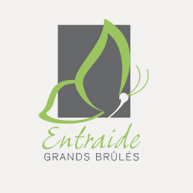 Madam Bernadette Nedelec, resident researcher for the Burn program at Villa Medica Rehabilitation Hospital has been awarded the 2013 prize for excellence from the Quebec Order of Occupational Therapists (read the news item). Ikram Methqal, neuropsychologist at Villa Medica Rehabilitation Hospital has been chosen to present an article titled «Age-related brain changes sustain distinct compensatory mechanisms for maintaining performance during semantic categorization task» at the 2014 World Congress on Brain Behavior and Emotions. Villa Medica Rehabilitation Hospital becomes the first francophone hospital in Canada to meet the requirements of Accreditation Canada’s converted award for excellence “Stroke Distinction” (read the news item). The Théâtre Aphasique receives the Special Jury Prize at the Festival international de théâtre de Mont-Laurier for its production of Jeux, scène et délire. 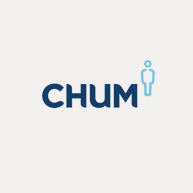 Annick Chouinard, physiotherapist at Villa Medica, begins a three-year mandate as a member of the Rehabilitation Committee of the American Burn Association (ABA). Carolle Lavallée, physiotherapist at Villa Medica, receives the Excellence Award in Atlas teaching in physiotherapy 2012-2013 from Université de Montréal. Two posters created by the Burn team at Villa Medica are presented at the annual American Burn Association Congress in Palm Beach. Villa Medica receives Qmentum accreditation by Accreditation Canada. Dr. Léo Lasalle, expert in the treatment of serious burn patients, is awarded Volunteer of the Year 2012 through the Gens de cœur contest.